Batten down the hatches, light the torches and grab your swords as you prepare to sail the sea’s in this, the forth offering in the Oathsworn series. 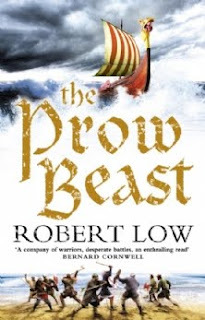 Not only is the adventure along with the fame of the Oathsworn growing but Rob really does search the tales of the ancient norse to weave a thread that the Norn’s would be proud to call their own. Not only does Rob bring a great offering to the table but he adds a touch of the old David Gemmell magic into the heroics of the crew taking their own tale to greater heights. It’s sad to say that this is going to be the last offering in the Oathsworn series for a while and whilst its going to be a long wait for their next adventure the magic within will only help to swell those who seek to join Rob’s Shield Wall.